Located in Udaipur, India's "City of Lakes", Landmark Hotel reflects the city’s spirit in a harmonious blend of tradition and contemporary sophistication. What sets us apart from other hotels is our personalized service, attention to details and ability to cater to your business & leisure needs. Exquisite interiors, impeccable services and delectable cuisines combine to make us Udaipur's most graceful and elegant upcoming hotel. The hotel is ideal for business travel, holidays & social get together to explore the Natural beauty, hestorical heritage & Cultural Legacy of Udaipur, Rajasthan. While shaping the property, it has been our motive, to create a property that not only fulfill all the requirements of a traveler but also provide you a kind of place to feel at home, to discover more than you desire and to get true worth for your money. Security Guard, Breakfast Services, Currency Exchange, Doctor on Call, Airport Transportation, Travel Counter, Banquet Facilities, Complimentary Newspapers in Lobby, Room Service, Backup Generator. Shoe Shine, Basic Bathroom Amenities, Complimentary Newspaper, Iron/Ironing Board, H/C Water, Reading Lamps, Dustbins, Smoking Rooms, Child Care, Complimentary Toiletries. 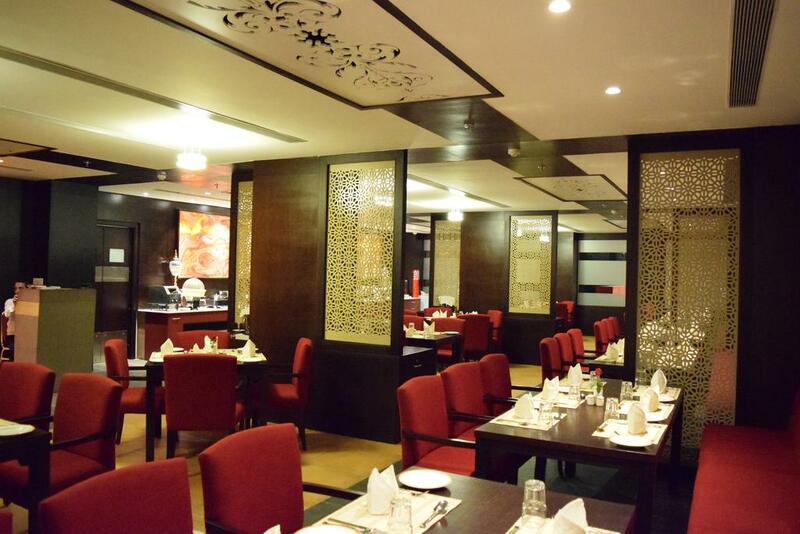 Banquet Facilities, Breakfast Services, Doctor on Call, Restaurant, Room Service. User reviews for "Landmark Hotel Udaipur"